Bridge of Earn Dental Practice has an experienced and enthusiastic team, the majority of us have worked together here for many years and this helps create a happy and relaxed environment! Our aim is to provide high quality dental care in a friendly and safe environment. 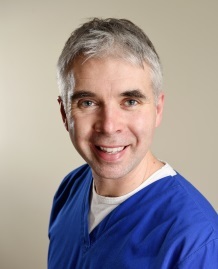 Declan is the practice owner and Principle Dentist. Declan is originally from Northern Ireland, he graduated from the University of Dundee in 1996 and worked in Perterhead, Aberdeen and Alyth before joining the practice in 1999 and becoming a partner. Declan took over as the principle dentist when the practice relocated to its current site in 2010. In 2010 Declan became a trainer for newly qualified dentists and is actively involved in the education and training of dentists – a hugely rewarding role that also enables him to keep up to date with current thinking and techniques in Dentistry. Declan has a special interest in Endodontics (root canal treatment) as well as cosmetic dentistry and constantly updating and expanding his skills. 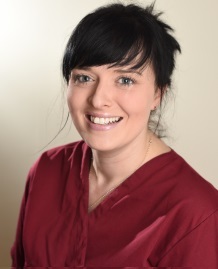 Our Associate Dentist Helen joined the team in 2013, she is originally from County Durham and moved to Dundee in 2002 to study Anatomy and Physiology - she graduated top in Anatomy earning a 1st class joint honours degree. 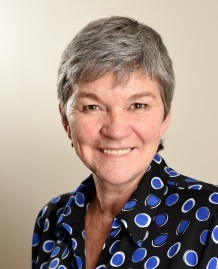 Helen spent a year out during this time demonstrating gross Anatomy to medical and science students before embarking on her Dental degree at the University of Dundee where she studied and practiced dentistry on the remote Island of Tonga and also in New Zealand during her dental elective. Helen received several academic awards during her time at university and graduated with an Honours degree in Dentistry in 2013. 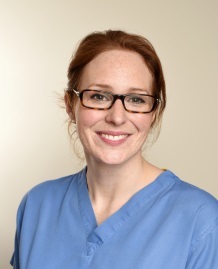 Helen is continually developing her skills and is currently broadening her scope of practice to bring more varied treatments and new thinking to the practice. She has interests in cosmetic dentistry and especially enjoys treating children and providing prevention lead treatment plans for our youngest patients. 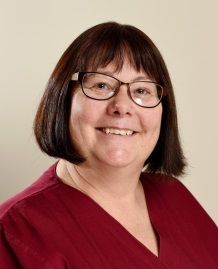 Helen ultimately enjoys getting to know her patients and building trusting relationships that allow her to prove the best care for her patients. Helen works part time - Wednesday morning, Thursday and Fridays. 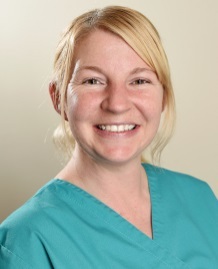 Dental nurse with us for 8 years. Dental nurse with the practice for 10 years and qualified for 30 years. Joined the practice in 2011 and qualified 1998. Our hygienist works closely with our dentists to diagnose and treat gum disease (link to perio) and maintain your oral health through targeted oral hygiene instruction techniques tailored to your mouth. She will provide a thorough clean of your teeth and gums removing plaque, calculus (tartar) and stain from above and below the gum line- leaving you with sparkling clean teeth and better equipped to treat gum problems at home and maintain your oral health. 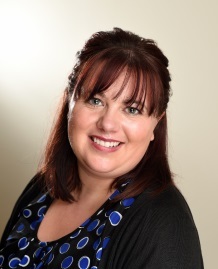 Receptionist (and dental nurse), Amanda has also been with us for over 20 years. Receptionist, Karen has worked at the practice for over 20 years.